Zoning designations are a vital function of our county government. Residents are supposed to have a say in the characteristics of their community by determining and limiting allowable uses through community plan reviews and updates to zoning. Zoning can be complex and challenging for the Maui County Department of Planning and residents alike, especially since current zoning maps are paper copies from the 1960s. The maps are old, worn and covered with notes from decades of zoning amendments. In some places, they do not accurately reflect development that has occurred since the 1960s. Planners must often cross-reference state interim ordinances, county zoning ordinances, individual zoning changes, as well as the old maps to make zoning determinations for parcels. This patchwork of zoning laws and references has led to mismatches between intended use and actual development. For example, the Kihei Land Zoning Map is from 1969 and it depicts the future Piilani Highway, but the highway was actually constructed in a different location than depicted. In another example, portions of the Wailuku Heights subdivision zoned agriculture are shown in incorrect locations. Recognizing the challenges created by these old maps, the county began searching for an effective way to update the system and make zoning maps accessible to other county departments and the public. Thus, the digital mapping project was initiated. In 2001, the county assembled a team named the Dead Sea Scroll Replacement Team (DSSRT), which was tasked with the digital update of the county’s aging zoning maps. Officials with historical knowledge of the county’s zoning came together with officials specializing in geographic information systems to form the DSSRT. Now, 17 years later, the initial digital zoning map update is almost complete. 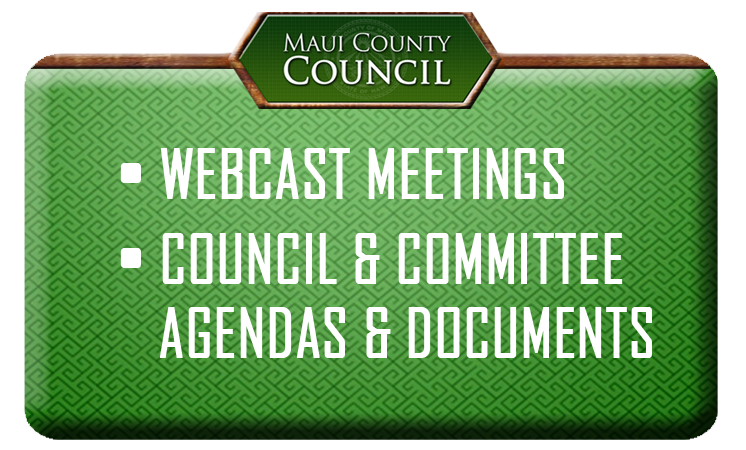 At the County Council Planning Committee meeting on Aug. 30, the Planning Department presented two proposed bills to make the digital zoning map of Maui the official zoning map. To create the digital map, the department combined the old zoning maps and all the zoning changes completed to date. The department also used the opportunity to correct mapping alignments, eliminate nonexistent zoning districts and correct other oversights. According to the department, no changes were made in the proposed digital maps that would require amendments to any existing community plans. The department cannot correct parcels with inconsistent zoning or community plan designations without council action. The department will maintain the digital map online for easy public access. County departments will also reap benefits from the digital map. For example, the Department of Water Supply can use the map for projections of future development, and the Department of Finance can use the map to determine property owners’ potential land uses and tax rates. Once the Maui digital maps are officially voted into county ordinance, the department will focus on preparing digital maps for Molokai and Lanai. I applaud the department for this milestone achievement. By updating and digitizing the old maps, they created a way to share the county zoning map with the entire community. * Kelly King is chair of the Maui County Council’s Planning Committee. She holds the council seat for the South Maui residency area. “Chair’s 3 Minutes” is a weekly column to explain the latest news on county legislative matters. Go to MauiCounty.us for more information.